In 1973, the Steve McQueen/Dustin Hoffman film Papillon, about an escape from the infamous French penal colony on Devil's Island, was shot in Jamaica. Extras were needed to play the wretched French inmates. The first search was fruitless; the island's whites all looked too well- fed and healthy. Then someone remembered the Germans. In Riccardo Orizio's words, they "only had to play themselves". These Germans were descendants of those taken to Jamaica in the 1830s by a couple of entrepreneurs on the bizarre premise that there might be a labour shortage come the impending abolition of slavery. Ironically, their roles as convict film extras was the first occupation to which they had been truly suited since their unfortunate forefathers arrived. 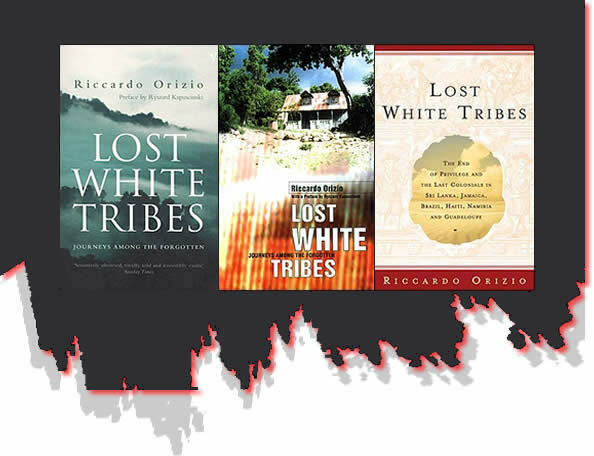 Their story is typical of those of the other five white lost tribes Orizio finds, human jetsam stranded by freak tides of history on distant and disconsolate shores. The Dutch burghers of Sri Lanka, remnants of 17th-century Dutch rule there, are still unwittingly treated as tourists by the indigenous Sri Lankans. The Confederates in Brazil were refugees from the defeated Southern states at the end of the American Civil War. Every April they read General Robert E. Lee's letter of surrender, in Portuguese. There are French who are isolated in Guadeloupe and Boers who are stranded, with a flag but no state, in Namibia. This is an absorbing, if somewhat loosely structured book, by an accomplished Italian journalist blessed with an outstanding translator in Avril Bardoni. Those displaced groups which are studied have nothing more in common than their sense of isolation and grievance. Theirs are complex, rootless communities, now uncertain that they ever belonged anywhere. If there is anything positive in such a chronicle of unhappiness it is, perhaps, that none has suffered racial discrimination. On the evidence here, white minorities in general fare very much better in black societies than the other way round. For most, the preservation of language is more important as a cultural raft than the purity of their skin colour, their religion more significant than nationality. 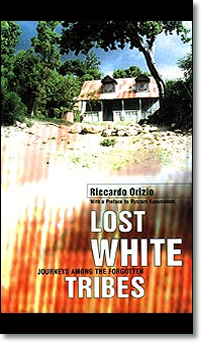 The sorriest group are the Poles in Haiti who live in "little lost Poland", a remote, godforsaken enclave without electricity, running water, phone, medical help, cars, shops, school or church. Their ancestors were soldiers despatched by Napoleon's brother-in-law to put down an uprising of slaves. Two hundred years later they still live in the hope of a white stranger, presumably a Pole, turning up to rescue them. So when Pope John Paul II, Karol Woytyla, visited Haiti in 1983 they thought their saviour had come. Fifty of them turned up at the airport to explain their predicament and ask His Holiness for help. They are still awaiting a reply. There are Germans in Jamaica who would sympathise.